Discharge summaries serve as the main form of communication between a patient’s medical providers at a hospital and the providers who later treat the patient. They include vital information including the outcome of the patient’s hospital stay, the patient’s status, and provisions for follow-up care. 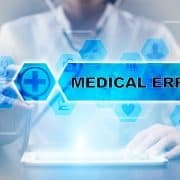 Subsequent healthcare providers glean valuable clinical information from discharge summaries, thus timely, accurate summaries are crucial for effective and appropriate post-discharge medical care. Despite the importance of prompt completion, the discharge summaries reach follow-up providers by the time of the patient’s first follow-up visit in only 12-34% of the visits. A recent cohort study analyzing roughly 88,000 consecutive discharges between January 1, 2013 and December 31, 2014, concluded that delays in the completion of discharge summaries were associated with higher rates of readmission. More specifically, 14,248 out of the 87,994 (16.2%) cases examined resulted in the readmission of the patient within thirty days of discharge. In fact, 43% of the readmissions analyzed took place before the medical providers had completed the discharge summary. According to the data interpreted in the study, the odds of readmission increased when discharge summaries were completed three days after the patient was discharged, compared to those completed on the day of discharge. Furthermore, for every three-day delay in the completion of the discharge summary, the rate of readmission increased by 1%. The median time for completion was eight days. Not only does the study identify a clear connection between delayed discharge summaries and an increase in the rate of readmission, but it also suggests that discharge summaries reflect the quality of care a patient receives. The authors predict that timely discharge summaries will become the focus of future endeavors aimed at improving patient outcomes. That said, doctors and other healthcare providers must be held accountable for harm that results from tardy discharge summaries. 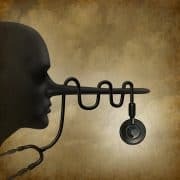 One of the best ways to implement change in the practice of medicine is to hold providers responsible for their negligence. The attorneys at Abramson, Brown & Dugan have a wealth of experience handling medical malpractice cases involving almost every aspect of medicine. 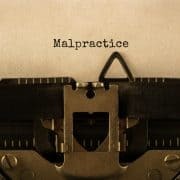 If you or a loved one have been a victim of medical malpractice, contact one of our experienced attorneys today for a free consultation.